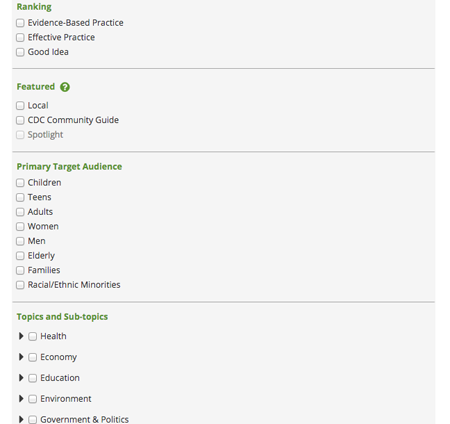 The Promising Practices database on KCHealthMatters.org provides the opportunity for others to learn about program components or practices that have been measurably effective. Visitors can narrow search results using a variety of filtering options. The database combines promising practices submitted from around the nation, although local practices are clearly marked with an orange "Local" label as seen above. 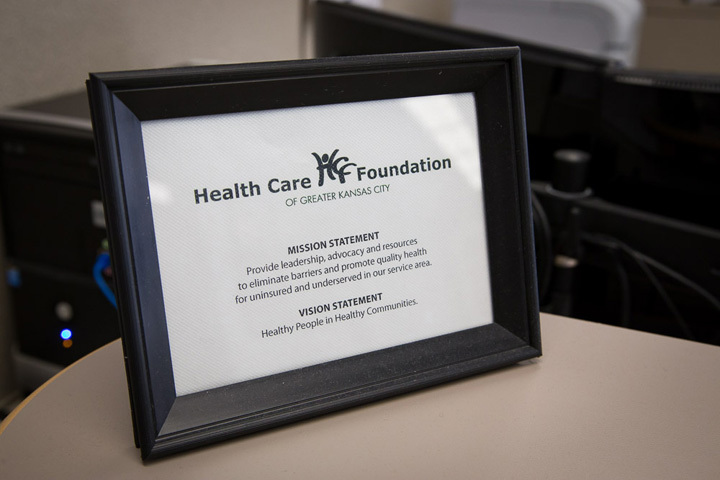 Have you heard about the great health improvement efforts going on in Kansas City? 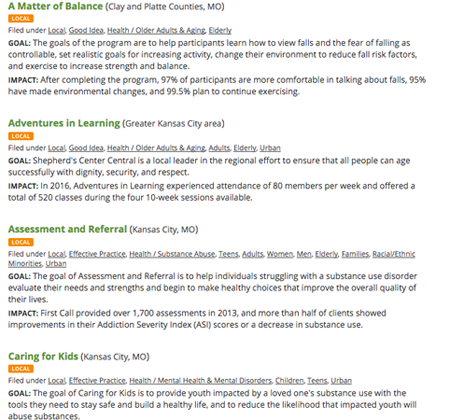 KCHealthMatters.org is a website that features some of this outstanding work through its Promising Practices database. 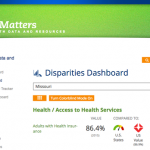 KCHealthMatters is a one-stop shop for data and resources to further understand and improve your community’s health, identify areas needing improvements and collaborate for positive change. Within this valuable community resource is a national database of community health improvement practices, strategies, and ideas. The Promising Practices database is a key resource to communities and professionals as they seek to learn from the experiences of others and improve health and quality of life in their community. To view examples of successful practices from across Kansas City and the nation, check out the Promising Practices database here! The database presents a great opportunity to collaborate with colleagues working on similar issues locally and nationally. It is also a great platform to share the innovations of your organization! We’re asking any organization that has a promising practice to be featured on KCHealthMatters.org. There are many reasons for organizations to submit their practices to the Promising Practices database. 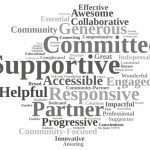 First and foremost, it provides the opportunity for others working toward the goal of improved community health to learn about program components or practices that have been measurably effective. Additionally, submitting a promising practice gives organizations the opportunity to be showcased as an expert in the field. Funders may be interested to know that an organization has experience implementing programming that is proven, effective, and recognized. Finally, promising practices reflects positively on an organization’s leadership, staff and overall quality of services. It demonstrates the organization’s commitment to implementing best practice programming and contributing to the evidence base to help other organizations do the same! Please join me in congratulating the local organizations that have recently had practices accepted by the Promising Practices database! Does your organization have a promising practice to share? Please contact Carlie Houchen at chouchen@khi.org for more information or visit our website to learn more and submit a practice!